VideoTube – version 2.3 is out now. [New] How to import the Video from Youtube/Vimeo? Whether you’re embedding preexisting videos from giants like Youtube, Vimeo, Dailymotion, Hulu …(Supported Video Sites) which supports oEmbed protocol and any sites that supports Iframe/embed code or showcasing creations of your own, Videotube offers a clean and modern platform to do just that. Un-limit video in one page, example. Added: single post navigation (previous and next post). Fixed: Search query var - sorting option. Fixed: height responsive related posts widget. Fully video responsive on normal post without jetpack plugin activated. Added: Fully compatible with Social Count Plus. - videotube/style.css: A few minor css, changed the version number. Fixed: Post view number in video single page. Added: Video Aspect Ratio option. Added: Custom CSS, JS field on mobile. Added: jetpack Post view module compatible. New: New design of Theme Options. Fixed: Fully video responsive, compatible with bootstrap latest version. 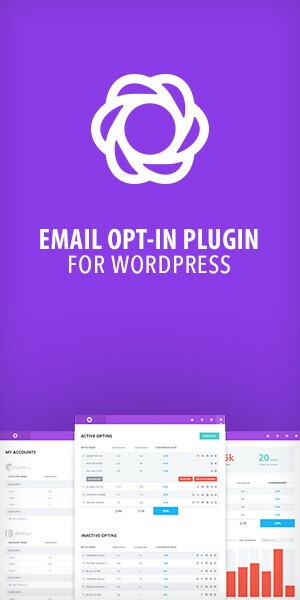 Fixed: WP Widget 4.3 compatible. Fixed: Broken layout when display full length of post title. Fixed: New theme options api, fully compatible with Redux Framework plugin. Removed: Theme Options: Site icon, Google Analytics ... and a few unused fields. New: Video Embed & Thumbnail Generator (https://wordpress.org/plugins/video-embed-thumbnail-generator/) compatible. Updated: Filter hook in Related Video widget (videotube/includes/Mars_RelatedVideo_Widgets.php). Fixed Video Responsive (require jetpack plugin installed). Fixed: Login/Register shortcode, removed Register password fields, now the form works like wordpress default register form. Fixed: Caching author post, like, view count number. Fixed: Video Comment/Share/Like/Turn off Light's responsive. Fixed: Related Video/Post broken layout. WP 4.1 compatible (Title tag). WP Upgrading Class/Options in Theme Options/Update. Added: Support all shortcode type in iframe/embed field. Fixed: video password required: show the password field and hide the main content if the post password required. Changed: Post meta action hooks. Fixed: Broken layout in JS composer. Added: fr_FR.po, Special Thank to Nexnivis. Fixed: Fix/markup the Breadcrumb in single video page. Added: video, audio, wpvideo (videopress) shortcode support. Fixed: Self-Hosted Video autoplay. loading the blank page. Added: date, today, thisweek option in all widgets: You can filter the video by the certain date, today or this week. Added: date, today, thisweek option in videotube shortcode. Added: Advanced Custom Fields: Gallery Field plugin, $25AUD values. Fixed: Archive the Video Link/Embed code in one field, now the Video thumbnail will work for the embed code. Removed: VideoTube Feed plugin, now you can configure the feed in Theme Options/General/Video Feed field. Added: Adding the Icon before the title of page builder. Fixed: Page builder html element id. Fixed: Hidden video type in submit form. Fixed: Carousel widget page builder. Added: 6 Color Schemes: Blue, Splash Orange, Orange, Wood, Splash Red, Green. Fixed: Video/Post page builder shortcode. Added videotube_upload options as category include/exclude/orderby/order, more details in documentation. Added: Homepages template page builder, one click to build the home/landing page. Added: Theme automatic upgrade, you have to provide the Themeforest Username and API key in Appearance/Theme Options/Update. Fixed: Login form remember issue. Fixed: VT Tag Cloud widget, add taxonomy, smallest,largest, number option. Fixed: One Big Widget, added thumnail image size option. Fixed the lenght of the description in SEO mode. Fixed: Missing Taxonomy (Video category and video tag) labels. Fixed: Adding order filter in search result page. Added: the columns option in the Featured/Main/Related Video/post widgets. Added: Visual Composer Page Builder. Removed: Prime Strategy Page Navi plugin. Fixed Getting Video Thumbnails from Frontend submit form. Fixed Ajax loading more video. Fixed Main Post/Video widget row, slider. Fixed custom the video slug. Added Infinite Scrolling Template, support Custom Post Type (CPT). Added Comment count in all the widget. Added Website and Bio in channel page. Added Category, Tag Filter Condition in Related Video and Post widget. Changed adding the video search result as a plugin function. Changed "Category" label to "Video Category". Fixed is_main_query in Channel/Author page. Fixed Liked, Viewed count number in Channel/Author page. - Embed code, Video File uploading is support. - Added Video/Preview Image size limit. - Added Video Type option support. - Fixed Video tag, Video category. - Fixed duplicating post/video html ID. - Fixed: displaying the video detail page. - Fixed: Support all video sites (Video Link), which is supported oEmbed protocol as Youtube, Vimeo, Dailymotion, Hulu ... etc. Fixed Main Post Widget title string limitation. Added Row option in All video/post widget (Featured, Main, Right, Related widgets). Added Carousel auto play in Video/Post Widget. Added Post date filter in Video/Post Widget. Added Custom Login/Register page (optional), replaced for WP login default page. Fixed no limit the length of the video/post title. Added Video in Feed page. Added Loading Icon in Like button. Added Allow Guest to like option. Added Main Post widget, Featured Post Widget, Right Post widget. Fixed Post Class in all VT Widget. Fixed _e() function in archive and category page. Added custom Body Text font. Added custom Widget Title Color. Added custom Header Navigation Color. Fixed One Big Video widget. Fixed Loading author name in video detail page. - Added Play Icon in Category, Video Tag, shortcode (Video List), Archive page. - Added option to use embed code from any video site. - Fixed comment REPLY label.